On behalf of the SCDTAA, I would like to invite you to our Annual Meeting November 10-13, 2016. This year, we are excited to be going to the Ritz-Carlton at Reynolds on the beautiful Lake Oconee, in Georgia. 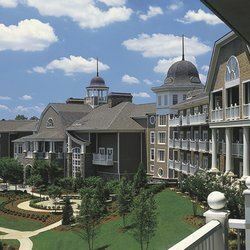 The Ritz-Carlton Reynolds, Lake Oconee is one of the most luxurious lakeside resorts in the country. It provides a lodge-like charm, world-class accommodations, and highly personalized service to create an unforgettable experience. Reynolds Plantation also offers five championship golf courses, a chance for a relaxing day of boating or outstanding fishing on Lake Oconee, as well as a world-class spa. As you know, any Ritz property is fantastic, but this particular location has a particular natural allure and sense of tranquility. Reynolds Plantation also offers five championship golf courses, a chance for a relaxing day of boating or outstanding fishing on Lake Oconee, as well as a world-class spa. As you know, any Ritz property is fantastic, but this particular location has a particular natural allure and sense of tranquility.